The Seattle City Council voted Tuesday to consider an ordinance that would give new protections to homeless people camping on public property. The raging debate about Seattle’s evictions of homeless campers from public property tore through City Hall Tuesday as the City Council began considering the broad new protections for campers that civil-rights groups asked for last month. The council voted 7 to 1 to introduce an ordinance similar to the one proposed by the American Civil Liberties Union and other groups that advocate for the homeless. Then people from communities across the city weighed in. Some proponents of the ordinance held signs that read, “Sweep trash, not people,” while opponents held signs with the words “Respect public spaces,” and with the image of a red “X” over a tent. So many people signed up to speak that not everyone was given time, including George Miller, 41, who before the meeting talked about his camp being swept away. “That’s the hardest thing maybe a human being can ever experience,” Miller said. The ordinance, referred to Councilmember Sally Bagshaw’s human-rights committee for discussion and possible changes, would revamp how the city handles unauthorized encampments. For encampments in locations deemed dangerous, the city would be allowed to clear people out but would be required to offer them safe locations as alternatives. In locations deemed not immediately dangerous, the city could evict campers only after offering them housing during at least 30 days of outreach. Camping on sidewalks, rights of way, school grounds and highway overpasses would be prohibited under the ordinance sponsored by Councilmembers Rob Johnson, Lisa Herbold, Mike O’Brien and Kshama Sawant, they said. The ordinance doesn’t explicitly name all of those areas, though, nor does it address camping in parks in detail. It says the Department of Neighborhoods would decide which locations would be off-limits. For encampments deemed dangerous due to garbage accumulation and other unsanitary conditions, the city would be required to try to remedy the situation before forcing people to clear out — by providing them with garbage containers and portable toilets, for example. And the ordinance would require the city to do more to connect people with their belongings, including items with little monetary value. The ACLU and its allies have taken their cause straight to the council, shunning a task force convened by Mayor Ed Murray to improve eviction protocols. 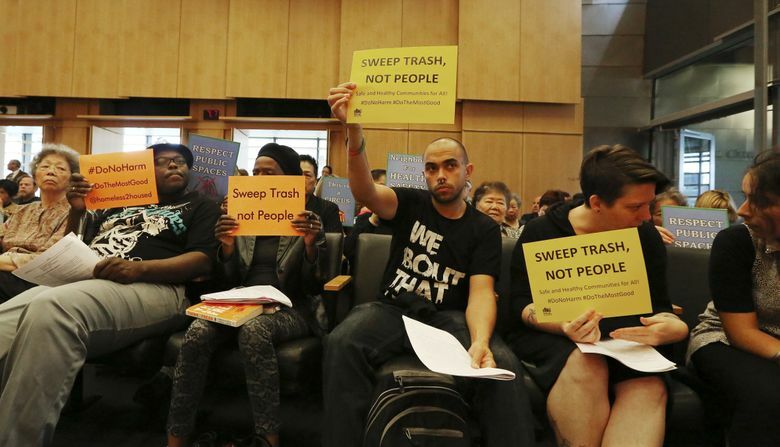 They argue the city’s sweeps are ineffective and inhumane. 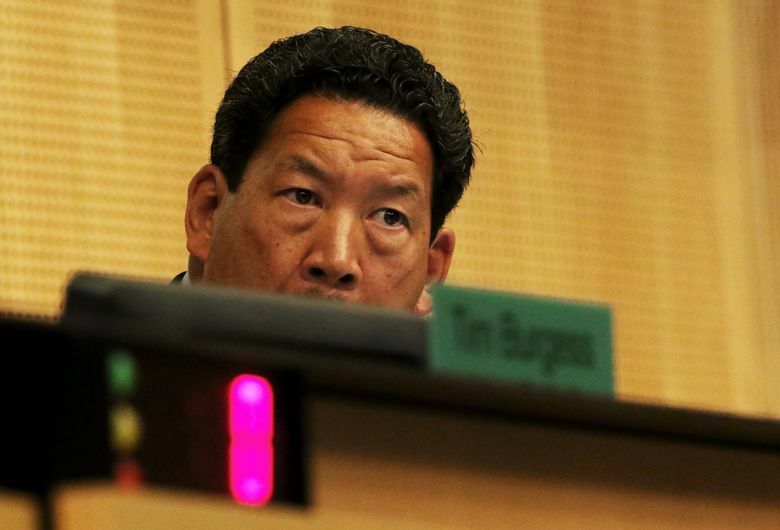 Only Councilmember Tim Burgess voted against referring the ordinance to committee, arguing it would tie the city’s hands in maintaining public spaces. That’s an assertion the ordinance’s proponents have denied and something that Bagshaw’s committee will likely investigate by diving into the details of the proposal. Councilmember Debora Juarez was absent Tuesday. 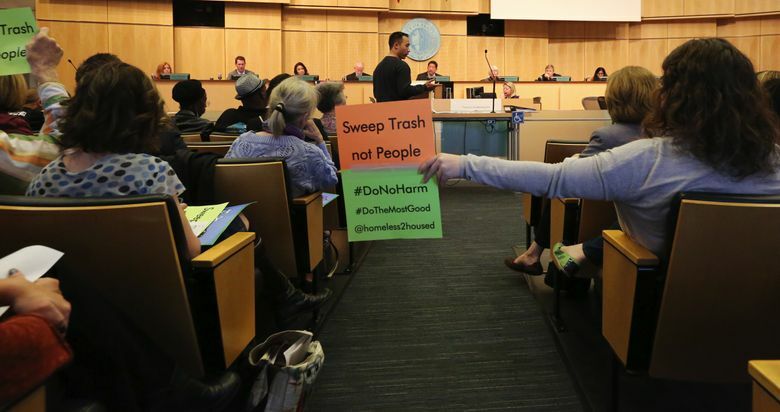 “The proposed ordinance is not the balanced approach the people of Seattle deserve, an approach that carefully weighs and balances compassion with our public health and safety obligations,” Burgess said. The Seattle Metropolitan Chamber of Commerce and other business groups sent the council a letter Tuesday making a similar argument. 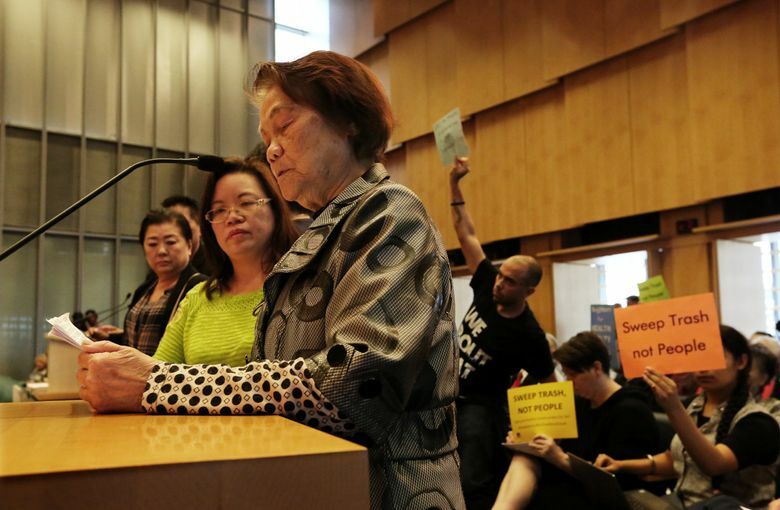 But the most noticeable opponents of the ordinance at City Hall Tuesday were dozens of seniors from the Chinatown International District. One talked about their fear of encampments, connecting them to crime in the neighborhood. 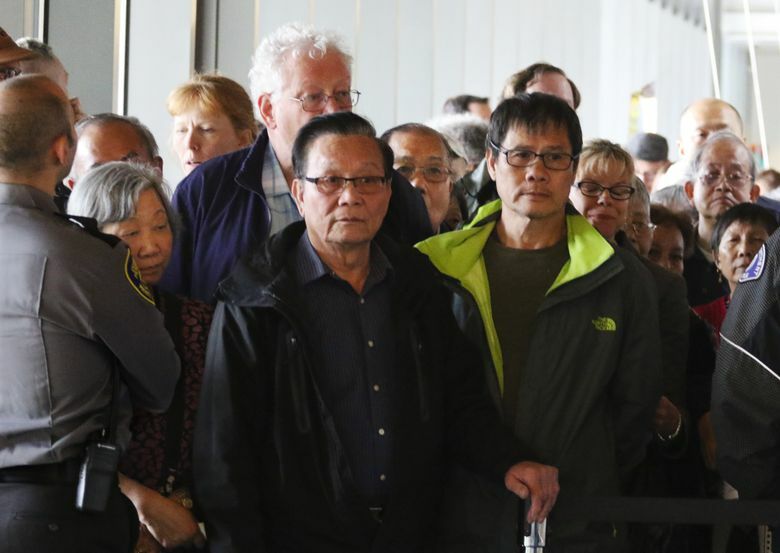 “Seniors are even afraid to go outside right now,” Qiu Feng Peng said, speaking through a translator and objecting to the 30-day notice period for some camps. Sonny Nguyen, a 25-year-old from a group of young Asian and Pacific American activists called API Food Fight Club, said not everyone who lives and spends time in the Chinatown ID thinks the same. The camps in the Chinatown ID swelled after the city began trying to clear out the nearby Interstate 5 encampments known as The Jungle, Nguyen noted. “We do want homeless people out of our neighborhood — we want them to be moved into housing,” he said. And a homeless camper who asked to be identified only by his first name, Alex, echoed one of Nguyen’s points. His message: Put people in housing. “Every problem that everybody has would be solved if people had someplace to go,” he said after the meeting.